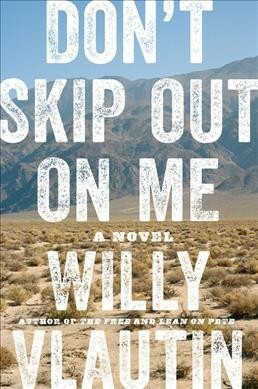 From Willy Vlautin, award-winning author of Lean on Pete and The Motel Life, comes a powerful exploration of identity and loneliness pulled from deep within America’s soul. Horace Hopper has spent most of his life on a Nevada sheep ranch, but dreams of something bigger. Mr. and Mrs. Reese, the aging ranchers, took him in and treated him like a son, intending to leave the ranch in his hands. But Horace, ashamed not only of his half-Paiute, half-Irish heritage, but also of the fact his parents did not want him, feels as if he doesn’t belong on the ranch, or anywhere. Knowing he needs to make a name for himself, he decides to leave the only loving home he’s known to prove his worth as a championship boxer. Mr. Reese is holding on to a way of life that is no longer sustainable. He’s a seventy-two-year-old rancher with a bad back. He’s not sure how he’ll keep things going without Horace but he knows the boy must find his own way. To become a champion Horace must change not just the way he eats, trains, and thinks, but who he is. Reinventing himself as Hector Hildago, a scrappy Mexican boxer, he heads to Tucson and begins training and entering fights. His journey brings him to boxing rings across the Southwest and Mexico and finally, to the streets of Las Vegas, where Horace learns he can’t change who he is or outrun his destiny. A beautiful, wrenching portrait of a downtrodden man, Don’t Skip Out on Menarrates the struggle to find one’s place in a vast and lonely world with profound tenderness, and will make you consider those around you—and yourself—differently.